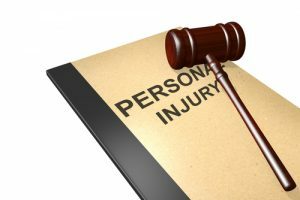 Anytime you’re pursuing a personal injury claim in Washington based on harm that came to you through an accident, you need to be aware that the attorney for the defendant in your case and/or his or her insurance company will search online to get as much information as they possibly can about you. In particular, they will be looking for things they can use to downplay the extent or severity of your injuries and discredit your claims. These days, the most damaging information typically found by defendants in personal injury claims comes right from the injured person’s social media accounts. The reason behind this is simple: people often share private life details online freely, without any understanding of how that information may look or be used against them in court. Because of this, your social media presence could stall or even derail your personal injury claim. Your best bet is to deactivate your accounts entirely while your case in ongoing, which is a move that your personal injury lawyer will likely recommend. If you can’t or are not willing to suspend your social media activity during your case, you do need to be incredibly cautious about what you decide to post on your accounts. You will need to consider whether any information you’re including in a post could be used to damage your claim before you press the button. If, for example, you suffered an accident that has placed limits on your mobility, you should never post photos of yourself online that show you doing things that are physically demanding. Even if you’ve simply found a way to work around your current limitations, it may not look that way to other people, particularly members of a jury should you go to trial. If you do decide to stay on social media, there are a variety of mistakes you’ll need to avoid. Some are more common than others, such as assuming your posts are all private. Full privacy is never guaranteed on a social media website, and things happen, such as posts labeled private showing up to the public. Always assume the defendants will or do have access to all of your posts. When you are in this mindset, you’ll be more careful about what you say and do online. Discussing your case or your accident online is another error many a personal injury lawyer has seen. Any information you put out there about your case or your accident could be used against you later, even if the post seemed totally innocent at the time. In addition, any person you openly discuss the case or accident with on the web could be called in as a witness or asked to provide a statement or testimony in your case. This extends to your friends, relatives and other people you communicate with on social media as well. They should not post information about your injury, your accident or your case, as that can come back to haunt you even if it didn’t come from you. If you decide to stay on social media, tell your family and friends that they should not discuss your case, accident or injury, nor should they include you in those types of posts. Do this verbally so it’s not online for everyone to see. Old posts can come back to haunt you as well, especially if they call your character into question. It’s important to remember that people who don’t know you personally will not view your posts the same way as people who do. Do an online search of yourself and review your old social media posts so you know what information is available to the public. Bring copies of anything you’re concerned about to your attorney. This way, he or she can take that information into consideration as your litigation strategy is developed. Last but not least, don’t accept any new friends or followers on your accounts while your case ongoing, particularly people you don’t know. The defendants may create fake profiles so that they can access information on your account that they would not be able to see otherwise. If you need help with a personal injury case, contact the trusted and experienced attorneys at Feldman & Lee for a consultation now.